Welcome to Spring friends and fellow golfers. At least that’s what it says on the calendar. As I look at the course, it will be a while before we get out there, as there are still three feet of snow on the course, but warmer weather is on the way. NEW LIMERICK, Maine — Welcome to Spring friends and fellow golfers. At least that’s what it says on the calendar. As I look at the course, it will be a while before we get out there, as there are still three feet of snow on the course, but warmer weather is on the way. 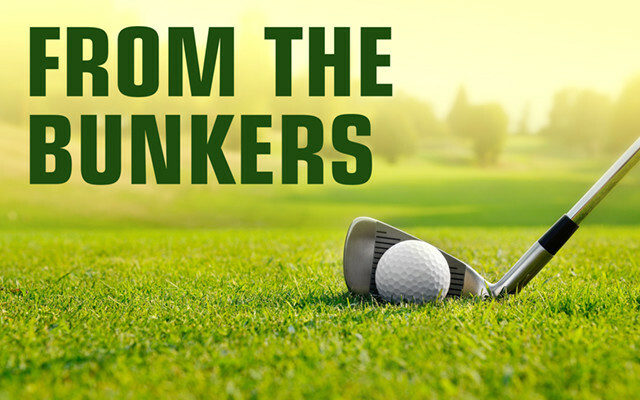 You may be thinking this is a little early for our From the Bunkers column. We just wanted you to start getting excited about the upcoming golf season. In the interest of pace of play, the R and A and the USGA released many rule changes. These all became effective on Jan. 1. Over the coming weeks, I will try to explain some of the major ones that will affect the recreational golfer. The first one is probably the most talked about. You can now putt out with the flagstick in the hole. You must declare that you want it to remain. You may still have the flagstick attended or removed as the rules were before. Another rule change is the time allowed to search for a lost ball. Before it was five minutes, now you only have three minutes. This is where you and your playing companions should help each other watch the ball flight to locate the ball quicker. We will cover other changes in future columns. The Golf for Life program is continuing this year. It is open to anyone who might be thinking about learning the game and who has never played before. This is a chance to receive five basic lessons, at no charge, with a group of beginning golfers, all starting at the same level. Clubs will be provided. We are looking for 50 people to fill the classes. An information meeting will be held on Wednesday, April 10, at 6 p.m. at the Gentle Memorial Building. If you know an interested party, have them call David Grant at 538-8333 to sign up. Weather permitting, Bill and Nancy hope to have the Lakeside Restaurant up and running for the new year the weekend of April 12. Call Nancy at 694-9494 to make reservations or just welcome them back after our long winter season. Warmer weather is on the horizon and we hope for a controlled thaw. So think warm thoughts and I hope to see you on the course soon. Houlton Community Golf Course is located on 6 Country Club Drive in New Limerick. For more information on the course call 532-2662 or email houltongolf@gmail.com.